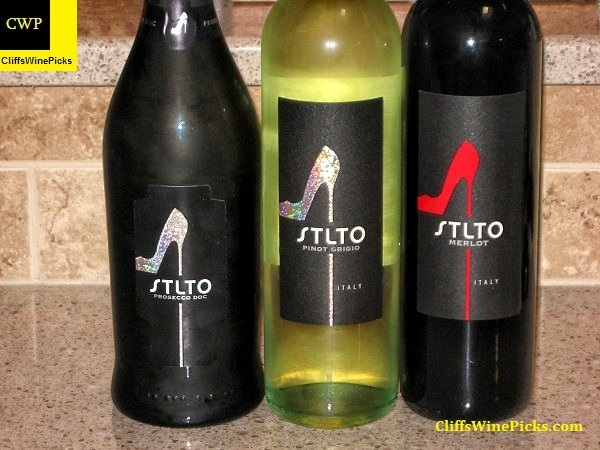 Stlto is a wine created and produced by women for women. The company is owned and was created by Sarah Liberatore. Sarah is a self proclaimed shoe-aholic and spent her formative years admiring her mother’s incredible collection of stilettos, so it was only fitting to call the wine Stiletto (the contemporary stiletto was invented by an Italian too!). 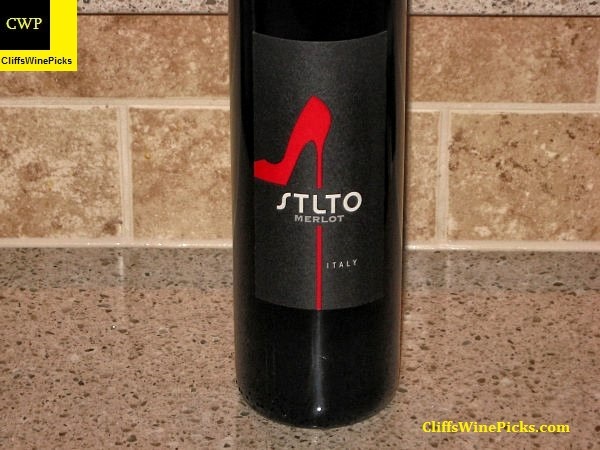 The word STILETTO could have been considered gimmicky though, and she wanted to ensure that her wines would be taken seriously. It was part of Sarah’s business plan to make the production of her wines a totally female experience (from admin work to the bottling line, every employee is a woman). I wanted to ensure that my wine was of excellent quality and that its creation was a totally female experience. From admin work to bottling at the winery and loading the trucks, everyone who is part of my brand was going to be a woman. She hired 5 women to work at the vineyard to help make these wines and together they felt that these 5 words encompass how this wine makes them feel. Sophisticated, Timeless, Lavish, Trendy, and Outstanding. 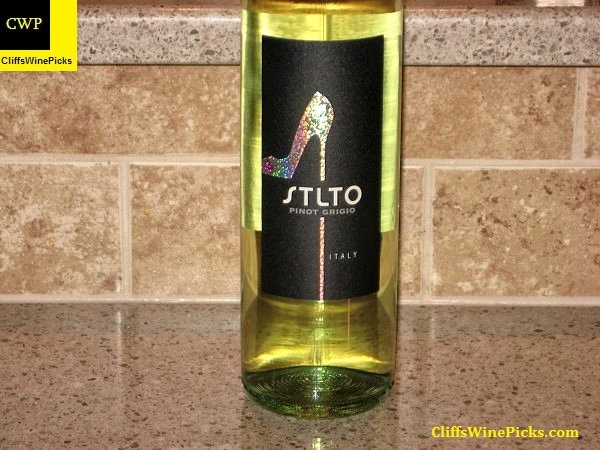 The brand is (S)ophisticated, (T)imeless, (L)avish, (T)rendy and (O)utstanding, just like all of the amazing women in my life, so we decided to name the wine STLTO. From the vineyard and cellar to administration and production, STLTO is an all-woman run operation and we celebrate women with my brand by marrying Italy’s best assets – wine and fashion! 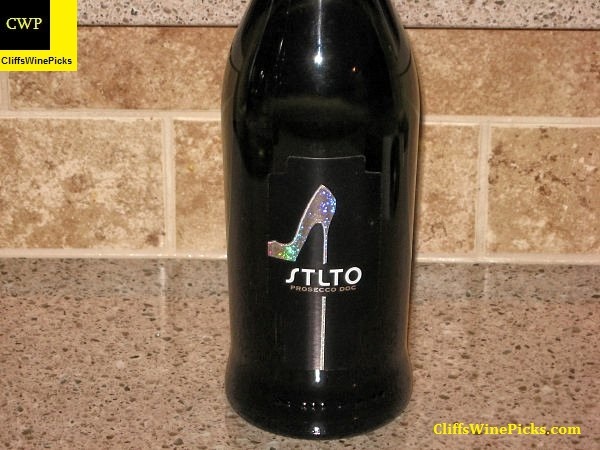 The grapes used for STLTO’s wines are-hand harvested to eliminate the use of farm equipment. STLTO is stored four metres below ground in tanks to eliminate the need for refrigeration. When not in use, STLTO’s storage tanks are placed on hills behind the winery to collect rain water, which is used to water the vineyard. I redesigned the standard glass bottle to use less material and ultimately produce a lighter weight bottle – STLTO’s bottles are only 420 grams! After three years of perseverance, rejection, and paving her own way in the male-dominated Italian wine industry, she recently honoured by the Hostelry Institute as one of Ontario’s Top 30 Under 30. How well is the business plan working? From all signs the wines have found their niche with the movers and shakers. It’s been making waves recently as well in Hollywood as one of the favorite wines of countless celebs and was featured at some Academy Award events. A quick Google search revealed many pictures of celebrities sipping or talking about the wines. It doesn’t hurt to have a celebrity proclaiming a glass of STLTO is her favorite way to unwind in the evening. Much more information about Sarah and STLTO is available on their site by clicking here. All the hoopla helps marketing, but the real secret to continued success and growth is what’s in the bottle. This 100% Prosecco uses grapes sourced from the rolling hills of Veneto just north of Venice. This bubbly has 11.0% alcohol by volume and the bottle is sealed with an agglomerated sparkling wine cork with a plastic “tip” on the inside edge. The wine is a light yellow to straw color with small persistent bubbles. The slightly shy nose has apples and pears. The wine has a light body with good acidity, nice effervescence and a touch of sweetness. On the palate apples and a touch of lemon zest carry the load. The finish is on the short side with just a hint of sweetness. This would work as a party sparking wine among non wine geeks. For this 100% Pinot Grigio, the grapes are sourced from 40 year vineyards from Italy’s Central Abruzzo region. This wine has 12.5% alcohol and the bottle is sealed with a twist off closure. The wine is a light yellow to golden color. The fresh smelling nose has apples, honey, orange blossoms and just a touch of spice. This has light to medium body with crisp acidity and just a touch of sweetness. On the palate tart apples and lemon zest grab hold and grudgingly allow a touch of spice to slip in on the back end. The finish is a touch short but full of apples and citrus. The slight sweetness would make this a nice wine to sip on its own or at a friendly gathering. This wine has 13.0% alcohol by volume and the bottle is sealed with a twist off closure. The wine is a medium to deep ruby red color. The inviting nose has plums, baking spices, mint, cherries, minerals, tobacco and violets. This has medium body with soft to moderate tannins and good acidity. On the palate spicy plums and mint carry the load with a hint of cherries coming in on the back end. The finish has decent length with nice closing spice and plum. This does not offer a lot of complexity but would work in a party environment or with a light meal. With the softer acidity and slight sweetness I can see these wines being very popular at a social gathering or paired with a light meal. I can easily imagine cases of these wines making appearances at wedding/baby showers, graduations or social events centered around women. These wines won’t satisfy a wine aficionado (wine geek), but so what, that’s not the targeted audience. As for the targeted audience, this hits the bulls-eye.